U.S. Forest Service plans to do more work to stabilize the banks of the trail in 2019. U.S. Forest Service trail and road crews have worked together to put the final touches on improvements along a section of the Suttle Lake Trail within South Shore Campground. The project is part of ongoing trail improvements to the Suttle Lake Trail, which is the trail that loops around the lake. Failing and rotting log trail structures have been replaced with rock to create long-lasting erosion control along the trail. Within the key watershed of the Metolius, the new rock trail structures will help stabilize the bank preventing the trail erosion into Suttle Lake. 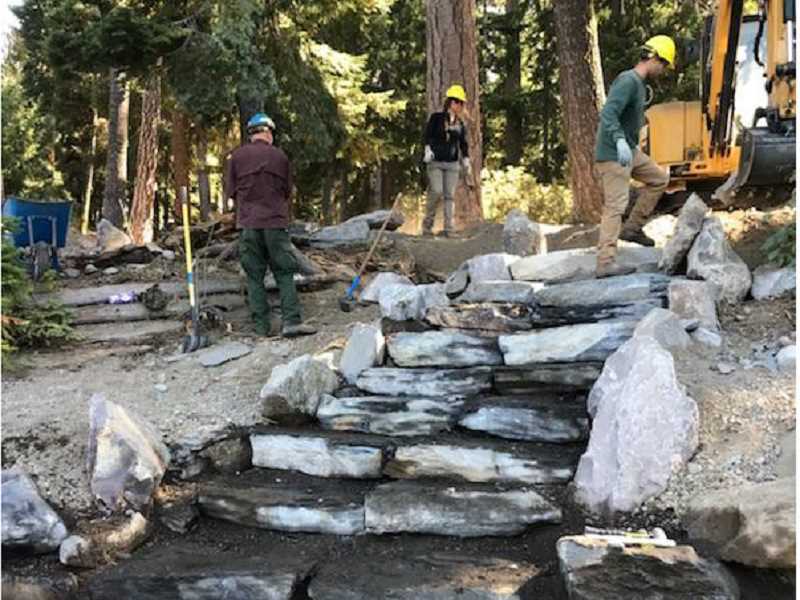 "The Forest Service trail crew has been working over the past few years to slowly replace the old log trail structures (also called cribbing) with rock," said Lauren DuRocher, acting public affairs specialist. "This particular piece of the trail was particularly challenging and the Forest Service road crew helped out moving larger rocks with equipment." More bank stabilization work on the trail is planned in 2019. 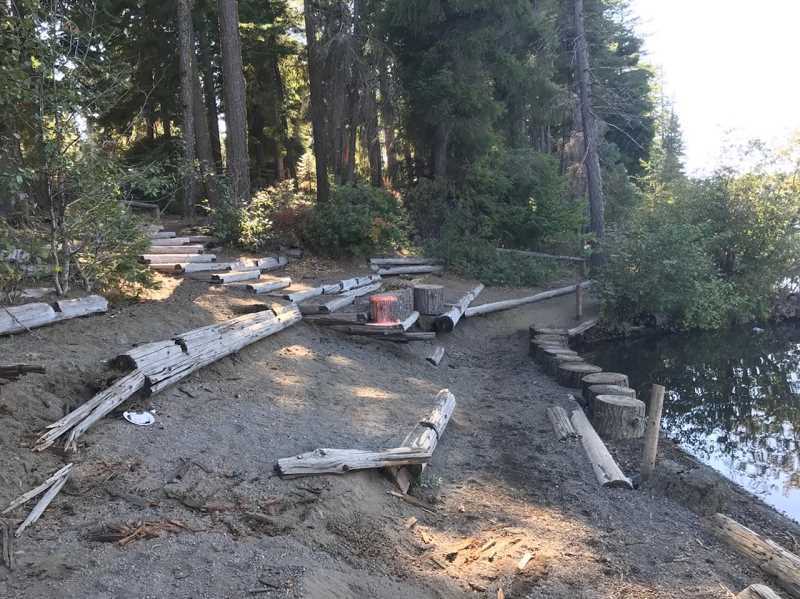 The project will benefit both visitor experience and water quality, since the trail will be more stable and reduced erosion improves water quality in Suttle Lake. The project was funded using agency funding specifically for projects to help reduce road and trail impacts in environmentally sensitive areas, particularly where they might affect water quality.